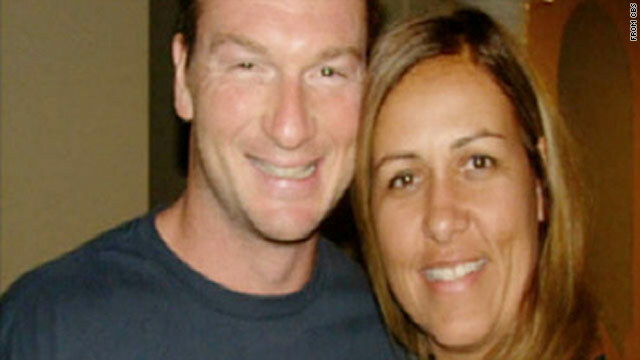 Bruce Beresford-Redman is back in the U.S. from Mexico, where his wife's body was found in a Cancun sewer last month. Los Angeles, California (CNN) -- Reality TV producer Bruce Beresford-Redman has returned to the United States despite a request by Mexican authorities that he remain in Mexico while they probe the death of his wife, his lawyer said. "Bruce Beresford-Redman has returned to Los Angeles County to be with his children and to attend to family and personal matters," attorney Richard Hirsch told CNN Sunday. Beresford-Redman was briefly detained after Monica Beresford-Redman's body was found in a sewer near their Cancun, Mexico hotel on April 8. He was released a day later but ordered to remain in Mexico while police gathered more evidence. "He has been informed that he has no legal obligation to remain in Mexico pending the investigation into the tragic death of his wife, Monica," Hirsch said. The Mexican prosecutor handling the case said on Saturday that he has been unable to locate the husband in the past week to "sign some paperwork and answer a few additional questions," the Los Angeles Times reported. Quintana Roo Attorney General Francisco Alor said it "would be very delicate and serious for Mr. Bruce" to leave Mexico, the newspaper reported. "Mr. Beresford-Redman has not been charged with any crime," his lawyer said. "He is devastated by the loss of his wife, best friend and the mother of his children." Mexican authorities have described the producer as "a person of interest" in the killing. After hearing the news report that Beresford-Redman could not be located in Mexico, the sisters of his wife, whose maiden name is Burgos, issued a written statement Saturday. "When the Burgos Family learned today that Bruce Beresford-Redman cannot be located, our greatest fears about the investigation being conducted by the Mexican authorities were realized," they said. A call to their spokeswoman seeking reaction to Sunday's news that he was back in Los Angeles was not immediately returned. Monica Beresford-Redman's sisters met with FBI representatives at the U.S. Embassy in Mexico City earlier this month to urge the U.S. government to get involved in the investigation. "Now, more than ever, we beg of the Mexican authorities to accept the assistance that has been offered to them by the FBI," their statement Saturday said. The paternal grandparents have temporary custody of the couple's two young children, although Carla Burgos, their mother's sister, is challenging them for custody. The initial investigation suggested Monica Beresford-Redman "died of strangulation, because of the bruising," regional police spokesman Adrian Cardena said. A source close to the wife has told CNN that she cleaned out the family bank account and took her two children to Hawaii because she was upset about her husband's extramarital affair. The couple later traveled to Cancun in an effort to repair their marriage, the source said. He also worked on NBC's "The Contender" and "The Restaurant" as well as MTV's "Pimp My Ride," according to entertainment media company IMG.